Today, Sega has three Game Gear titles launching in the U.S. for the Nintendo 3DS eShop: Shinobi, Sonic the Hedgehog: Triple Trouble, and Dragon Crystal! This marks the return of portable SEGA classics into the present day: the Game Gear, introduced in 1990, was yet another salvo in the ever-raging console wars. These days, plumbers and Erinaceidae play nicely together on the same systems, even participating in various bi-annual sporting events … Yet it’s still a bit of a trip to see games from this very SEGA of systems appear on the Nintendo 3DS: and yet, considering the unique and clever titles that cropped up on the Game Gear, it’s certainly a very welcomed development, and a terrific fit for this unique marvel of a handheld system. First out of the gate are these three titles, featuring a whole suite of ninjas, an old school RPG crawl & brawl, and also some classic Sonic action. Read on! 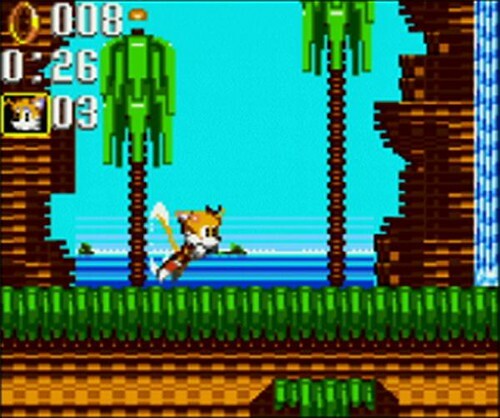 First off, the ‘hog and his fox-friend: Showing up between Sonic the Hedgehog 2 and Sonic 3, Triple Trouble is also somewhere between those games in style and level-design: there’s a good deal level interaction, meaning more traps and gizmos, as well as some sly level-based storytelling (not to mention Knuckles and his favorite hobby of throwing a lever to send Sonic tumbling into the next level). It’s a fast & furious entry in the Sonic canon you may have missed, and you can now take this game with you, playing as Sonic or Tails on the road. 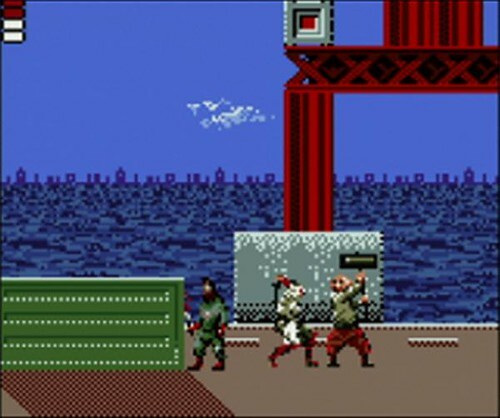 The Shinobi entry features a team of color-coded ninjas and music by the legendary Yuzo Koshiro. Smooth layout and clever level design mask an awesomely difficult game: rather than getting it’s difficulty from constantly bombarding you with enemies and traps (which would certainly have fluttered the Game Gear’s framerate), Game Gear Shinobi features lots of carefully laid out areas that require precision timing and quick thinking. Easy to throw yourself into, and difficult to master. And despite my ardent fandom of all things Shinobi, Dragon Crystal is in many ways my favorite entry here. Following in the footsteps of Fatal Labyrinth and based on the sprawling roguelike games of yore, Dragon Crystal is a top-down RPG featuring a huge number of weapons and endless exploration. The game sees you awake in the middle of a dangerous forest — the only way out is through, and also, you begin your journey followed by a large, unhatched egg. If that doesn’t say adventure, I don’t know what does. 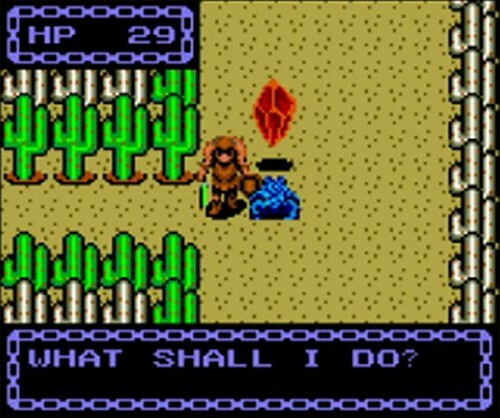 Dragon Crystal also features an element of old school RPGness that illuminates exactly what is meant by old school: namely, you will find rings and potions that do something, you know not what — the only way, as in real life, is to don or quaff these items, and see what happens. They may help, heal, or hinder, but regardless of the outcome, the game is both surprisingly deep and addictive. All three games are available now in the Nintendo eShop – check them out and stay tuned for more, including the worldwide release of these titles. This is great news. 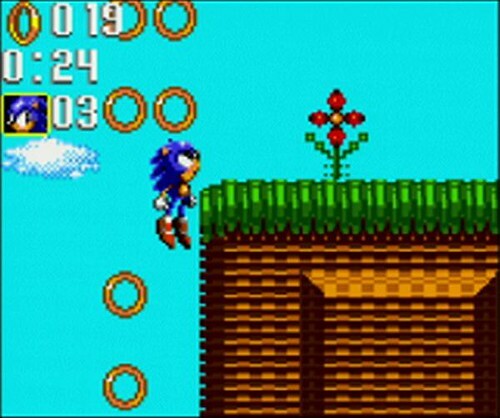 The Sonic is classic of games, we all know it from our childhood. I need to buy these games. Thanks for information.